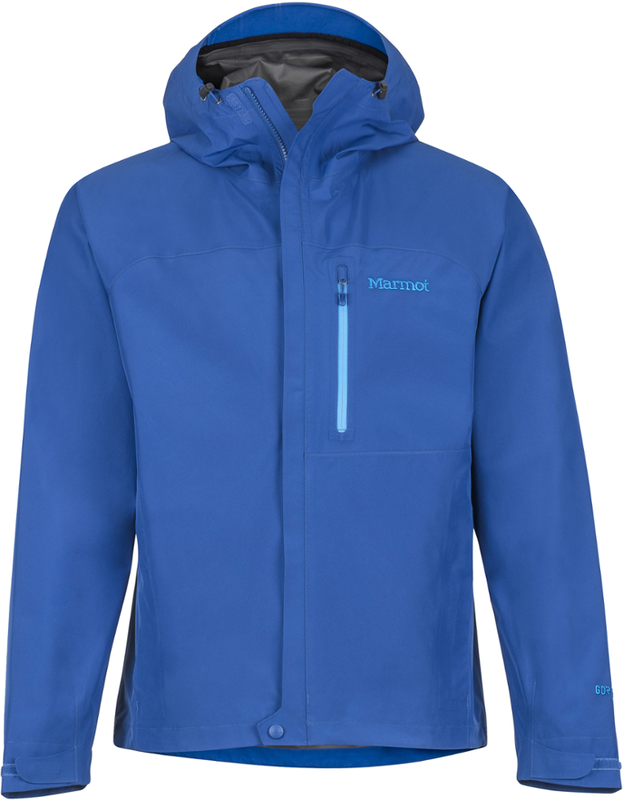 This is a solid jacket for wet conditions, but it still has room for improvement. I like the way it compacts into its built in stuff sack and fits a little big so that I can add layers underneath it when it's cold. 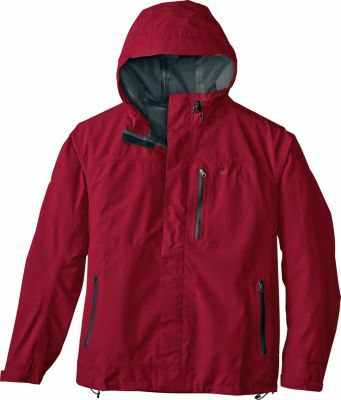 I would recommend this jacket for those who want to spend a few weekends in the great outdoors throughout the year or for anyone who wants a cool looking rain jacket to wear around town. I give this a 3 star rating mainly because of its ability to keep you dry in the rain. It works, but it could be better. When I got the jacket two springs ago, I was impressed with how the water beaded and rolled right off the jacket. But after an 8 mile hike through a nice constant downpour, water no longer beaded up and rolled off. The material got wet, but my clothes underneath were still dry. The jacket still gets the job done in terms of keeping me dry, but the rain soaking into the material gives it a wet, soaked feeling and it makes your shoulders damp...which I don't like. That is the biggest disappointment about this jacket. 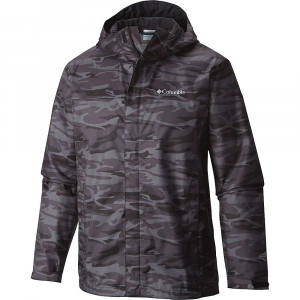 Even though some moisture sneaks through, the mesh liner on the inside of the jacket wicks moisture and disperses moisture really well. It is not well ventilated, so if it's raining or muggy, I feel like I need to unzip it really quick to get some fresh air in there. Other than that, I really like it and wear it any time I need a light jacket to keep the cool out, keep me dry during a light drizzle, or keep out the breeze. I like the fit of this jacket — I wear size small apparel and purchased a small and it fits a little big on me which makes it easy to move around. It also allows me to wear layers underneath depending on how cold it is outside. I'm always a fan of layers. The elastic drawcords allow you to pull the hood and waist tight to keep water away from your clothes which I find helpful. The cuffs on the sleeves also have velcro which can be tightened to keep water out when necessary as well. This jacket also has some good zippered pockets. Two large side pockets hold all kinds of things. I usually put gloves or snacks in there. The chest pocket is smaller, but holds a cell phone quite nicely. On the inside, there is a velcro pocket that the jacket stuffs into. While wearing it, that makes a great pocket for lots of things. This past winter I did an overnight backpacking trip with a buddy and I put a water bottle in there to keep it from freezing while I wore it. When not in use, I usually just hang the jacket up in a closet, but out on a trail with only my backpack full of whatever I'm carrying, the stuff sack is a great feature. It compresses down to a nice size — I put it in the front pocket of a hoody sweatshirt all the time. Since it stores itself, it's nice to just reach into my backpack when I need it, knowing I won't have to tug on it a few times because the sleeves are all in between my other gear. 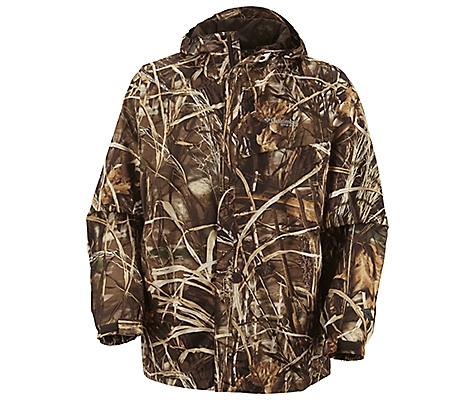 While this jacket is durable, it's not the most durable piece of gear I have. While the outer layer of my jacket has been rubbed against rough tree bark and tossed on the ground, there are no abrasions yet. The constant stuffing and packing and unstuffing and wearing in the rain has not damaged any seams. But every once in a while I find a thread — usually along the zipper — that is frayed or dangling. It may just be extra material since I can't find any holes, but that kind of annoys me. Overall, I like this jacket and it suits me for what I do — weekend trips out in the woods and wearing around town on drizzly days. With a name like Watertight, I want this jacket to be waterproof, but it is more along the lines of "really good at resisting water." 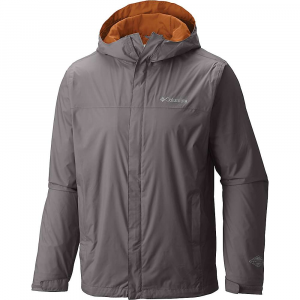 I know that Columbia came out with the Watertight Jacket II this past spring, and it looks to me like they made some nice improvements to the jacket, but I have not yet had an opportunity to try one on. I'd probably recommend the Watertight II over this one. Thanks for the review, Adam. Columbia is one of those companies where it's hit 'n miss with their products. Thanks Adam. I couldn't agree with Goose more. 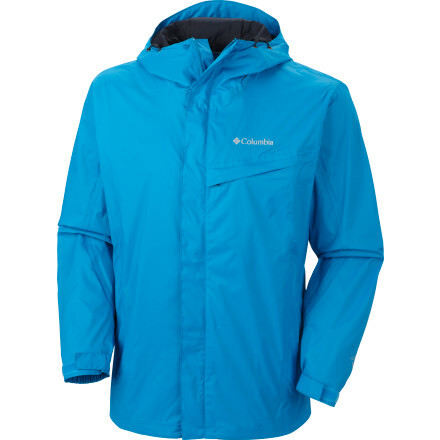 I have some products from Columbia that are great, while others leave a lot to be desired. The most frustrating thing is that it can't be narrowed down by product type. I have two pair of Columbia shorts, both purchased the same year, both manufactured in the same country and while one pair has held up great, the other became a tattered mess in no time and are now in a land fill. 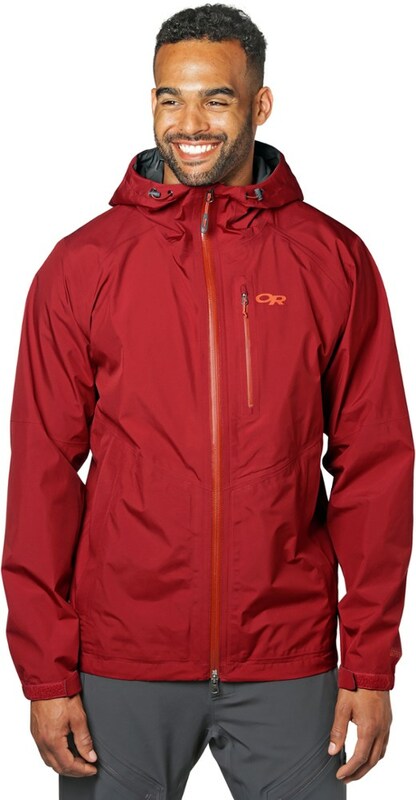 I have an older Columbia raincoat (not reviewed) that sounds about as good as this one. Kinda works, kinda doesn't.